The mysterious manipulator performing unpleasant-looking cervical traction in the picture I posted on the blog a few days ago was Jennifer Hickling, one of James Cyriax’s physiotherapists, who traveled from England to New Zealand in 1954 and sparked the interest of a young Stan Paris, who subsequently set off in the early 1960s to work with Grieve, Stoddard and Kaltenborn in Europe before returning to New Zealand and being part of a renaissance in manipulative physiotherapy that has lasted nearly 50 years. New Zealand physiotherapists are rightly proud of their pioneers of spinal mobilisation and manipulation: Stan Paris, Rob McKenzie, Brian Mulligan, Michael Monaghan, Mark Laslett, and others. 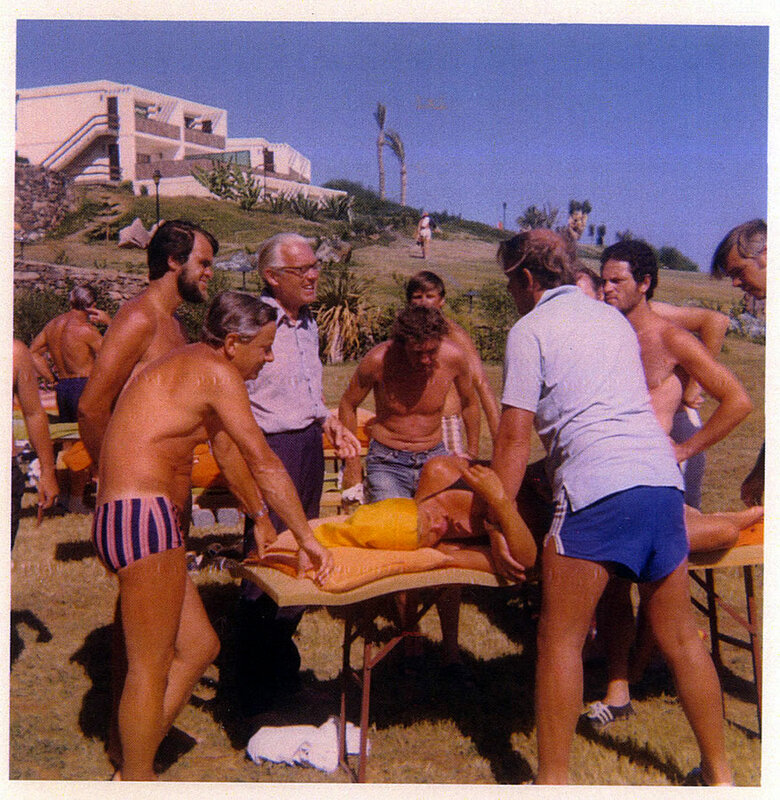 Many played a pivotal role in the formation of the International Federation of Orthopaedic Manipulative Therapists (IFOMT), attending its inaugural month-long meeting in Gran Canaria in 1973, and musculoskeletal physiotherapy is still a very strong focus of interest for practitioners in New Zealand, with over 60% of physiotherapists working in private practice. There is a fabulous virtual archive of physiotherapy history in New Zealand created by Physiotherapy New Zealand to celebrate it’s centenary in 2013. It includes oral histories from Stan Paris, Rob McKenzie, Brian Mulligan and others, and detailed accounts (including lots of photographs) of the early years of musculoskeletal physiotherapy in New Zealand. You can link to the archive here.